Pocket Beagle puppies may be a good match for people who like small dogs. These puppies have many of the same positive traits as their larger, hunting dog relatives. However, there is some controversy over cultivating these miniature Beagles. Find out about pocket Beagles and what to consider before you adopt one. Pocket Beagles, aka Old English Pocket Beagles or Miniature Beagles, are smaller versions of the traditional Beagle. Even though this seems like a new type of Beagle, these dogs are actually closer to the original Beagles than the current American Kennel Club breed standard. Queen Elizabeth, I had a Beagle that was small enough to fit into a gauntlet glove. There were also small Beagles bred for hunting small game in Great Britain that could easily fit into saddle bags. The British Beagle Club standard of 1890 required that dogs be no more than ten inches in height. Pocket Beagles are small, sturdy hound dogs that resemble Standard Beagles and English Foxhounds in appearance. They have broad, rounded skulls with a medium-sized, square muzzle, large expressive brown or hazel eyes, and long ears that hang on each side of the face. Their coats are medium length, coarse and easy to care for. Their fur comes in typical hound colors, such as brown and white, tricolor, or black and tan. Pictures of Miniature Beagles show dogs that appear exactly like Beagles but smaller. Another type of miniature Beagle named the Queen Elizabeth Pocket Beagle claims to be a distinct breed created from crossing Beagles with another type of hound. These dogs are also called Toy Beagles. Standard Beagles reach a height between seven and 12 inches and weigh between seven and 15 pounds. In comparison, Pocket Beagles are seven to 12 inches high when fully grown. Adults will weigh seven to 15 pounds. Toy Beagles will weigh five to 10 pounds and stand five to 11 inches high when fully grown. Pocket Beagles are gentle, full of energy, playful and affectionate. They are good with children as well as other dogs. However, they may need early socialization at puppyhood to get along with cats or other non-canine pets because of their hunting instinct. The breed is very inquisitive and will go off exploring if left unattended. These puppies need time for play and attention daily. They grow very attached to their human family and are prone to separation anxiety. They may get into mischief, such as tearing up things, if anxious or bored. These puppies have the distinctive baying bark associated with hounds. Some dogs may bark a lot, especially if left home alone. A Pocket Beagle pup is small enough to do well in an apartment or a house. The dogs are active, but they can get enough exercise with daily indoor play and regular walks. They work well in homes with children and other dogs because they love to play and are social. In fact, having another canine companion can prevent separation anxiety. Even though this breed is gentle with children, it is still important to supervise small children with Pocket Beagles, or any dog, for the safety of both child and dog. 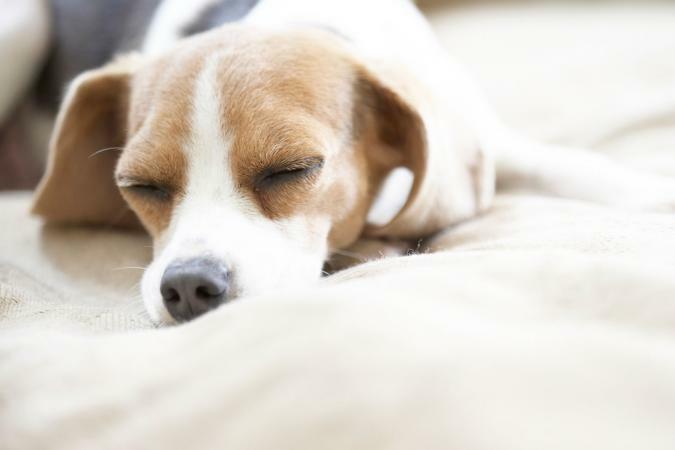 Miniature Beagles are prone to the same health problems as standard Beagles. Eye issues, back problems, skin conditions, heart disease, and epilepsy may occur in some dogs. Many Pocket Beagles are more likely to get health problems than standard Beagles due to unethical breeding. Since you will find many breeders cashing in on the "miniature" dog craze, dogs bred to be smaller and smaller can have more health problems due to inbreeding such as hypoglycemia, dental disease, diabetes, organ failure and musculoskeletal disorders like hip dysplasia. Since Pocket Beagles are not technically a separate breed, their main difference with their regular Beagle counterparts is their size. A standard Beagle is 13 to 15 inches high. Pocket Beagles tend to be seven to 12 inches high. Other than size, the one other major difference would be a greater propensity for health issues with Pocket Beagles due to breeding practices. The American Kennel Club and The Beagle Club UK do not recognize pocket Beagles as a part of the breed standard. In fact, a number of Beagle experts believe that Pocket Beagles are simply poor quality dogs or runts of the litter that should not be intentionally bred to avoid health and behavioral problems. They argue that the original Old English Pocket Beagles went extinct, and these new Pocket Beagles do not measure up to breed standards necessary for recognition by canine organizations like the American Kennel Club. The critics also claim that a number of Pocket Beagle breeders over breed the same dogs or inbreed dogs to cultivate the small size. Breeders of Pocket Beagles want these dogs to receive recognition in the American Kennel Club as a part of the Beagle standard, and some even want them acknowledged as a separate breed. These breeders argue that the Pocket Beagle meets the original breed standards, and the dogs are healthy and have great temperaments. Due to the special issues surrounding the breeding of Pocket Beagles puppies, research breeders carefully to make sure they practice ethical breeding. Reputable breeders will have limited litters each year, let you meet the dog's parents and allow you to view their facility. By visiting the facility, you can make sure the dogs are healthy and living in a clean environment. Always get client references. Good breeders will make you go through a comprehensive application process that involves interviews and sometimes even home visits to make sure the dog is going to a good home. You can look for breeders at the Olde English Pocket Beagle Registry website. The average cost for a Pocket Beagle puppy for sale will be about $500 to $1,500. Currently, there are no rescues groups that specialize in Pocket Beagles, but you can try contacting groups dedicated to standard-size Beagles to see if they have some of the smaller variety. Adopt-A-Pet and Petfinder allow you to search for dogs by breed and location. You can search for "beagles" near you or for shelters and rescues that have dogs of this breed. Before you adopt a mini Beagle pup, make sure that you can provide the right home environment for the dog. Since this dog needs a lot of attention, it may not be the best choice for someone who is not home much. The dog can do well in an apartment but realize that some Miniature Beagles may bark excessively. This could annoy neighbors in the close quarters of an apartment dwelling. Curbing excessive barking may require the help of a professional trainer.